The benefits of ballroom dance extend to both genders, but let’s take a look at some specific reasons why our masculine members should mambo! Have you ever thought “not the treadmill again”, or “I’m sick of the elliptical”? Dancing is a form of exercise that is as calorie burning as a jog, with the added benefit of improving balance and coordination. Guys, did you ruin your knees playing sports? 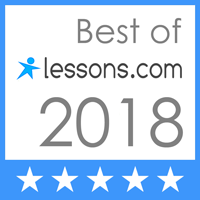 Not to worry, your instructor can help you focus on low impact dance styles. Dancing will improve your posture, improve you mood, help with stress reduction, and even protect against certain mental diseases. To see the more of the social and health benefits visit Benefits of Dance. Whether at a wedding or some other special gathering, it’s easy to avoid the dance floor and play the wallflower. Confident men don’t let what other people think rule their decisions, and nothing screams confidence like a man whose unafraid to get out there and show his moves! Ballroom dance lessons will also teach you better posture, which visually communicates confidence in settings outside the dance studio. In ballroom dancing there is a male and female pairing. As a man, you will be in control and it will be your responsibility to decide when to turn your woman, blend your steps, and to communicate these in a clear and pleasant way through non-verbal clues. It’s also your responsibility to keep your woman safe from running into other couples on the floor. People like interesting people. Developing a new sophisticated hobby gives others a glimpse into the burgeoning renaissance man you are becoming! You’ll have an interesting new hobby to talk about, and one that your friends and family will be excited to see showcased at the next wedding or special gathering. 6. It’s just plain cool! Take a look at the clips below and try not to feel the energy from the music, from the dancers, from the smiles on people’s faces. Women love intimacy, and there aren’t many activities more intimate than dancing. The next time you have chemistry with another woman, and the music comes on, wouldn’t you love to ask her “Would you like to dance”? Give yourself a romantic advantage by learning some basic dance skills and increase your confidence to proudly ask for that dance. 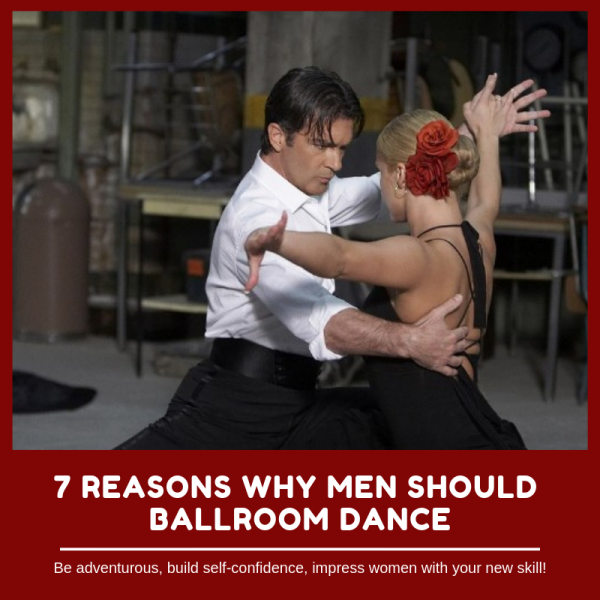 There are your top 7 reasons Men should take Ballroom Dance Lessons! Be adventurous, try new things, you never know what might happen. Hope to see you on the dance floor soon!